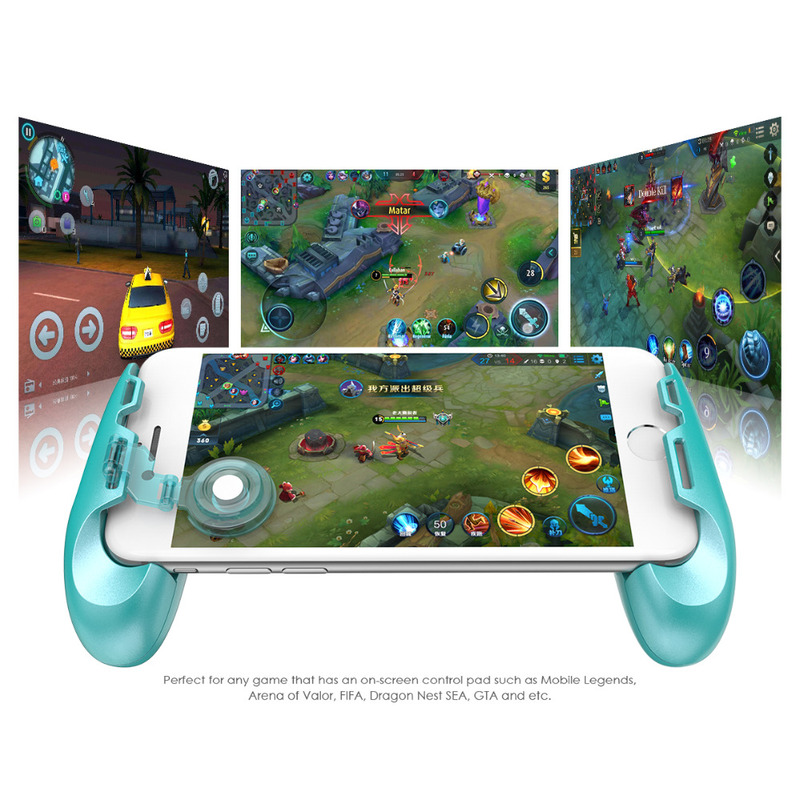 With a great innovation and passion, GameSir F1 Joystick Grip was born to bring more changes on gamers’ daily life. 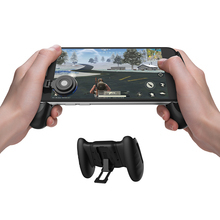 F1 features the integration of a phone grip and a stick-on joystick. 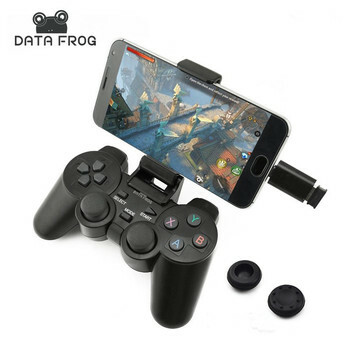 The solid-built phone grip is not only your phone stand but upgrades your gaming experience to the next level. 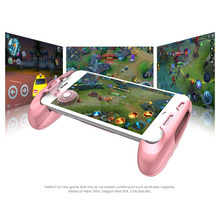 The stick-on joystick solves the problem of the clumsiness of the touch-screen joystick, controlling your game character’ every motion more precisely. Ideal for any game has an on-screen control pad like Mobile Legends, Arena of Valor, FIFA mobile, Dragon Nest SEA, GTA and etc. 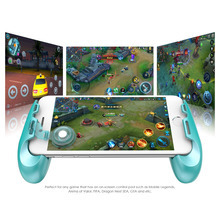 Mobile GameSir F1 Joystick Grip makes your legends unstoppable! 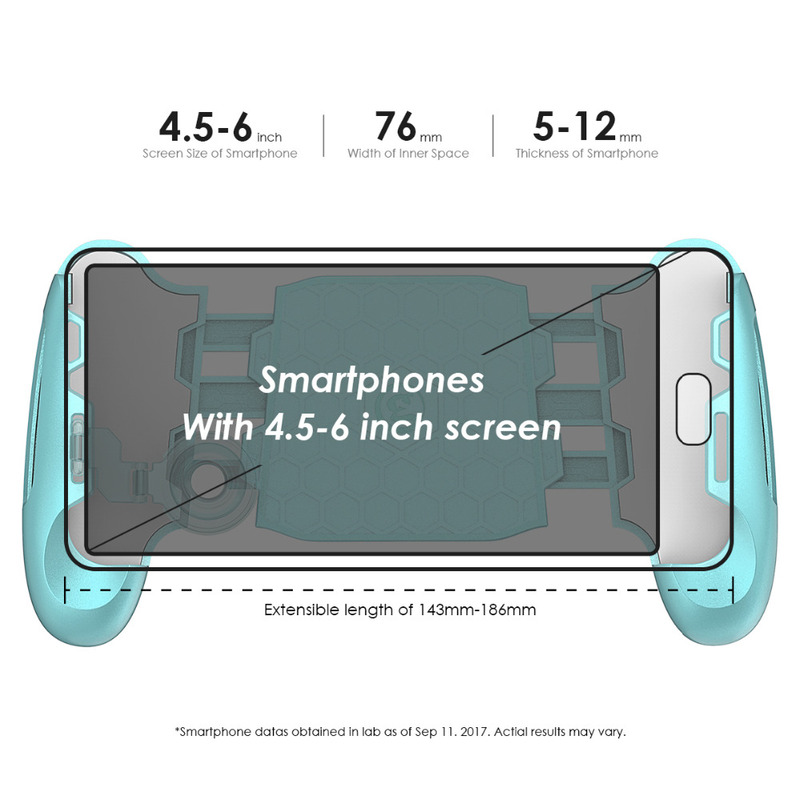 Telescopic-boom designing grip with detents makes a great stretching space to adapt different sizes of smartphones up to 6.7inch (17cm) length. It fits iPhone 8 plus, Samsung Note 8, Xiaomi MI MIX2 perfectly. To protect your phone, the grip also has each resilient EVA pads on both inner sides to secure the position from being displaced. 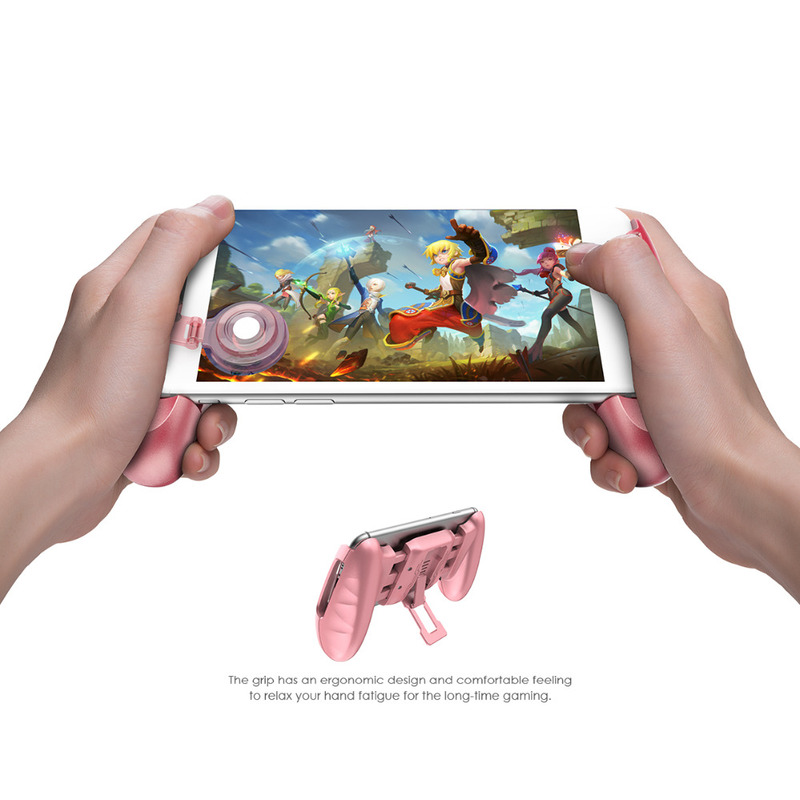 Joystick integrated swing arm allows you to plug & unplug it into either the right side or the left side of the port based on your hand preference. Also, it can move along the vertical direction to find a perfect spot to match your hand position. 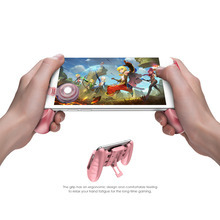 High flexibility swing arm ensures joystick sticks on the phone with different thickness securely. Swing arm can be flicked up easily. Remove or stick back onto the screen whenever you want. 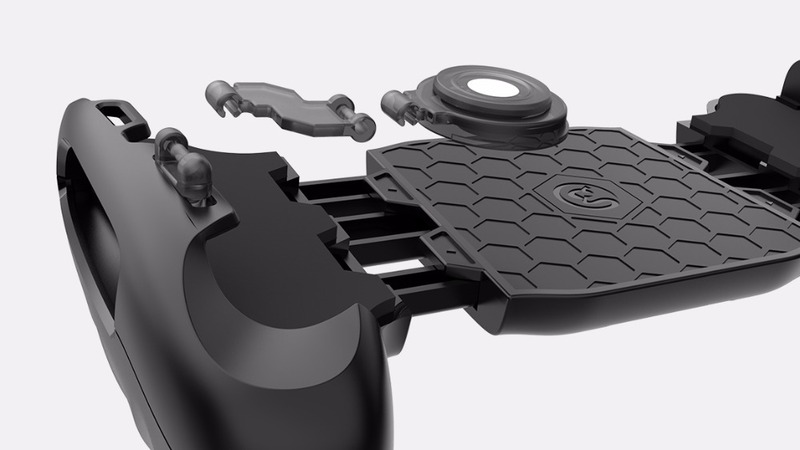 The ultra low-friction joystick with anti-slip design enables you to play effortlessly in 360°. 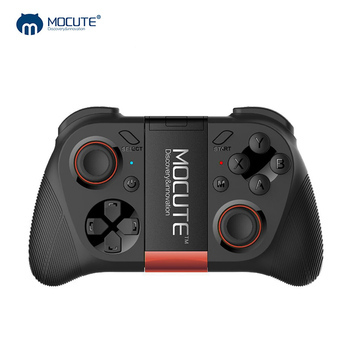 With the conductive steel piece inside of the rubber pad, it makes possible to play with even you are wearing thick gloves. The turbine steel spring is easy to move the pad back to the center without being deformed. Now you can control your game character more precise than ever. With 5 adjustable slots, you can adjust it to your preferred angle among 5 different angles in standing position whenever you need it. It is easy to operate as just push the rear arm, set the angle and kickstand it. 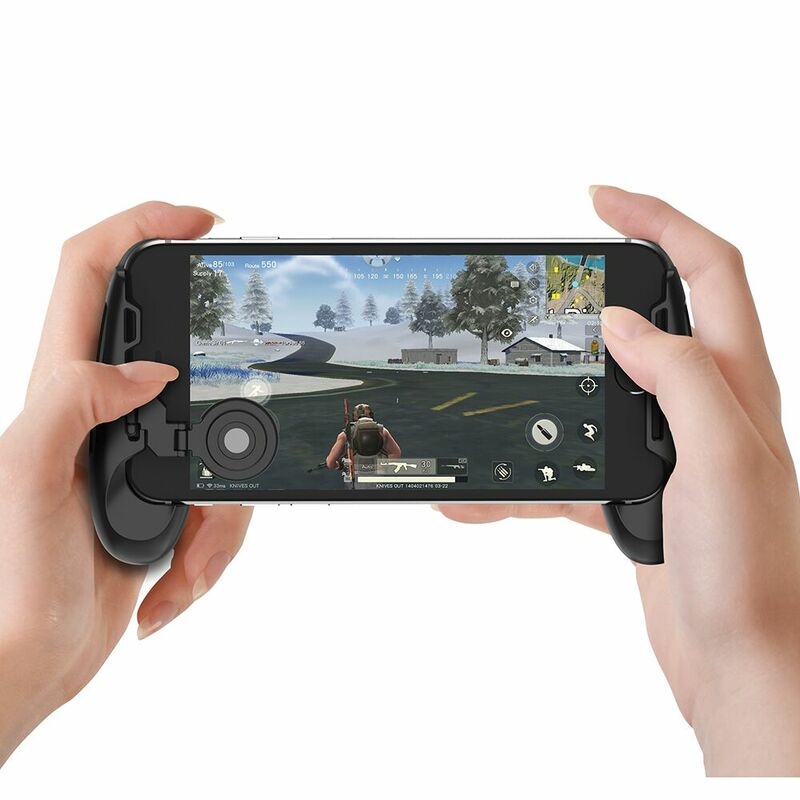 GameSir F1 joystick grip is made for every gamer’s daily life, does not require any battery and signal connection to play with your smartphone. As simple as just install the swing arm first, stretch the grip to fit your phone, stick the joystick onto the screen and you go! Q1. 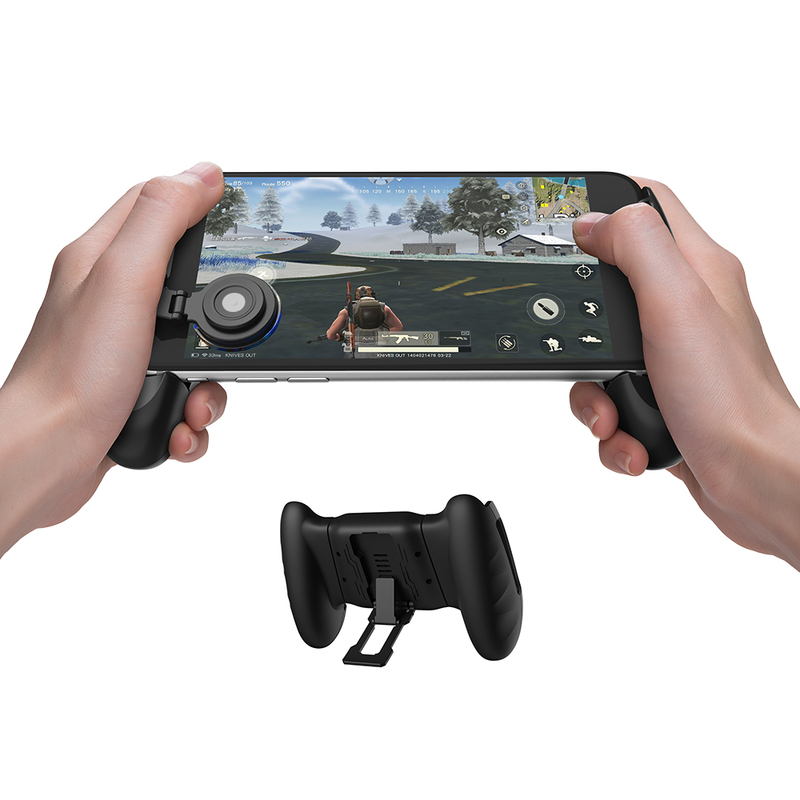 Will the joystick slip easily? No. 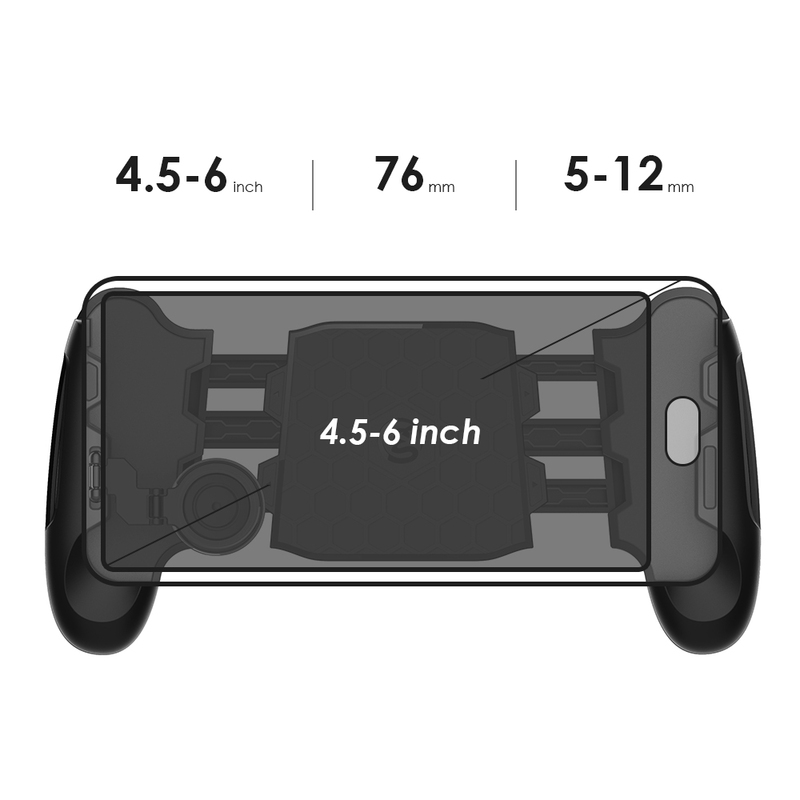 The joystick has a silicon pad at its bottom. 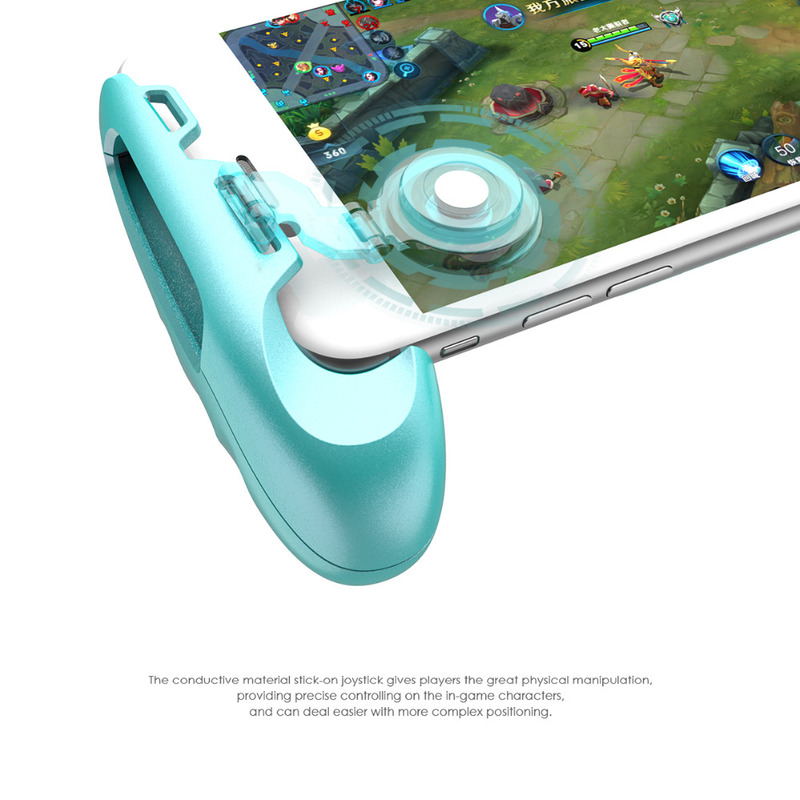 With a bit press, the stick can be vacuum-adsorbed and closely attached to the mobile screen. Q2. 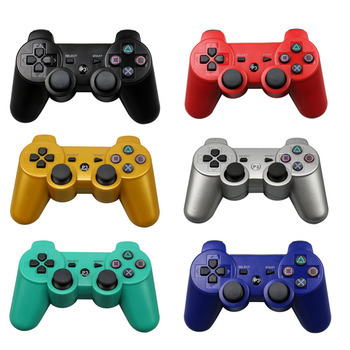 Why doesn’t the joystick work in games occasionally? It works only when the finger contacts the conductive metal pad in the central stick, and making a contact to the screen to control directions. Contact on the outer plastic instead of the metal part will make the stick losing its conduction and directions in games. Q3. My finger is long/short, can the grip move upwards/ downwards? Yes. Enough space is spared at the plug of the grip. By sliding slightly, it can move upwards/ downwards. Q4. Why can I not take the swing arm apart? You may feel tight when you’re trying to pull it out of the grip because the plug of the swing arm was designed to secure from loosing. If the plug is too tight, holding the grip and pull out with a bit force can it be taken apart or contact us for help. Q5. Does my iPhone SE/iPhone 5 fit it? Does my iPad fit it? No and no. 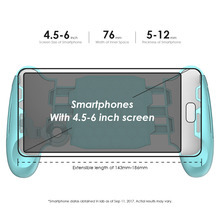 Technically, F1 fits smartphone sizes from 5.5inch to 6.2inch. iPhone SE/iPhone5 is a bit small and iPad is too big to fit. LEAVE 5 STARS FEEDBACK, GET DISCOUNT COUPON! 1. How accurate was the product description? 2. How satisfied was you with the seller’s communication? 3. How quickly did the seller ship the items? If you are satisfied with the order, please make 5 Star feedback to the order, it is better if you can share photos to show us the details feedback rating. We will give you discount coupons. If you are not satisfied with the order, please contact us within 24 hours and don’t Confirm Delivery, we will stay with you until solve the problem.